When I get to 25 inches from neck to bottom, I'm going to switch to smaller needles and begin the bottom roll for this sweater. I wove in all the ends at the armpit joins this morning, so once it's cast off, it will basically be done. I like it, and Shine Worsted is great stuff, BUT, you have to be even and clean in your work, or it will show every tiny flaw with it's smooth, shiny evenness. Now, here's the new idea. I got a couple of skeins of Manos del Uruguay in color 102 (right, that means a lot, doesn't it? 102 is rich reddish browns, purple, and dark gold, very nice, very November autumn) and I think it would be great paired up with Lamb's Pride to make the Green Mountain Spinnery's Norwegian Roses Cardigan. I think it would go nicely with Gold (14), Medieval Red (26) and Aubergine (185). Second sleeve finished (they actually match) so now all I have to do is finish working down the body until I run out of yarn or decide it's long enough. Don't even half to look at my hands while I knit this - awesome. But it really does make me think of a half-shirt, which is really ridiculous when you feel how heavy the fabric of it is. And while we were hiking this weekend, we saw this flower. While I know that the inspiration is supposed to precede the project, it's almost as though the image in my head only crystallized once I saw this flower. The lion will be appliquéd on top of it, along with the helmet and foliage and I'm planning to work in the details with the pearl cotton. So, finished the first sleeve - it's going to be doubled over, so here's pictures of it both ways. It really does look like a thneed, from the Lorax, but it's starting to look more like a garment and less like a bicycle seat cover. The Shine Worsted is so soft and has such a nice drape to it, it seems very promising for a fall sweater. And the color is better in these pictures than the first ones. It's hard to say which is more relaxing, knitting on this (yes, I have all three needles in at once, what a mess) or spinning. I'm almost ready to ply the next batch, so that's very exciting. So, when the small person and I brought our fabric up to the cutting station at JoAnn's, the woman working there looked at our colors and asked "Is this something for Harry Potter, or Gryffindor or something?" The darker red is the front and back, 108" and the brighter red and gold will be for the shield and some simplified decoration. The brighter gold is for the lion and the pearl cotton is to work in some finer designs. Right now, the fabric is waiting for the dryer, then the iron. I'm planning to work the shield and all that design and then apply it to the large ground of the front. Not sure about quilting versus tying, maybe I'll quilt the snitch into it. On smaller needles, cast on 108 stitches for the neck. Join and work in straight stitch for 2.25 inches, placing a marker for the beginning of the rounds, then markers dividing the work into 4 sections of 33 stitches (front), 21 stitches (right sleeve), 33 stitches (back), 21 stitches (left sleeve). Row one: [Starting at the initial marker] *knit one, work one Left Edge increase (see Vogue Knitting ISBN 039457186X, pp. 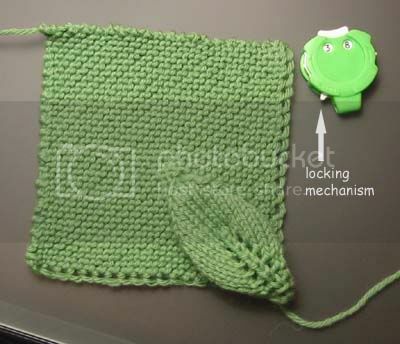 41), knit to within 2 stitches of the next marker, work one Right Edge increase (see Vogue Knitting ISBN 039457186X, pp. 41), knit 1, pass next marker**. Repeat * to ** 3 more times, until completing one full found, increasing 8 stitches in total. Row two: Work one round plain (no increases). Work these two rows 26 times until there are a totals of 85, 73, 85, 73, stitches ending with an increase row. Knit across 85 stitches for the front, with a scrap piece of yarn, place the 73 stitches for the right sleeve and secure them. With another piece of scrap yarn cast on 12 stitches and then knit over them continuing from the front of the sweater - total of 97 stitches. Continue across the 85 stitches of the back of the sweater, with a scrap piece of yarn, place the 73 stitches for the right sleeve and secure them. With another piece of scrap yarn cast on 12 stitches and then knit over them and join back up with the front of the sweater. Work until piece measures desired length (this was 19 inches) and finish by casting off 6 stitches evenly spaced at the same time changing to smaller needles and working 1.5 inches of tighter straight stitch to form a roll bottom. Join another skein of yarn and work 73 stitches for the first sleeve. Next, with a piece of scrap yarn, cast on 12 stitches and then knit over them and placing a marker between the 6th and 7th stitches, joining all stitches into a circle, being careful not to twist the cast on stitches. Work straight for 2 inches, the begin casting off for sleeve seams - treat the marker as the beginning of each round. Knit one, knit 2 together, knit 79, slip, slip knit 2 together, knit one. Work these 5 rounds 17 times = 51 stitches. Change to size 6 needles and decrease 11 stitches evenly spaced = 40 stitches. Work knit 2, purl 2 twist rib for 3 inches, then work plain knit 2, purl 2 rib for 3 inches. Cast off loosely. Finish cuffs by folding them inside and sewing down the edges along the beginning of the cuff ribbing (loosely). Here again, we see the very decrepit porch, this time with a whole bunch of Shine Worsted in Sunflower. Yay, knitpicks and cheap, nice yarn, not so yay on the timing of my order. Started working on the neck of the sweater - top down roll neck raglan, on size 6's, the body will be on 7's. Shine Worsted is so soft and smooth - really lovely. The color isn't quite as bright yellow-orange as I had thought it would be, it has this tinge of the 1970's, but I still like it a lot. I'm planning to do raglan increases on all 4 seams every other row until it looks right, take off the sleeves . . . pretty simple drill once you've done a raglan. More pictures will follow. Peeping out from underneath, you can see the Wildflower DK sweater on which I did next to no work while traveling . . . While riding the shuttle this morning, I decided that I should add a raised leaf motif to the yoke of this sweater. Maybe something like this - just the leaf, of course. Barbara Walker has all kinds of lovely stitch patterns for this kind of thing, so I should be able to find something. I'm picturing embossed leaves hanging down the yoke just below the neck. After playing around with a leaf pattern, I decided that it wouldn't work on the yoke of an otherwise straight stitch sweater. Basically, the weight of all that other yarn would just pull on the yoke and the design would get all elongated and look bad, and it would be a weak point in the fabric at a really bad place. So it's just straight stitch. But I'm logging the pattern as I go and will post it when it's done.